Sometime back in the 80s (that’s the 1980s) someone decided that they were working too hard. It became fashionable to wave a banner that pushed back at the corporate lifestyle. That wasn’t a bad thing. It was a new awakening of sorts. From that the concept of Work/Life Balance became all the rage. I was working in corporate America at the time. I was on the forefront of the wave because I worked in Organization Development for a major Company with a base in San Francisco. Who didn’t want to feel healthier and more balanced? What company didn’t want their employees feeling taken care of? So new initiatives were set in motion. Health and fitness concepts began evolving IN the workplace. 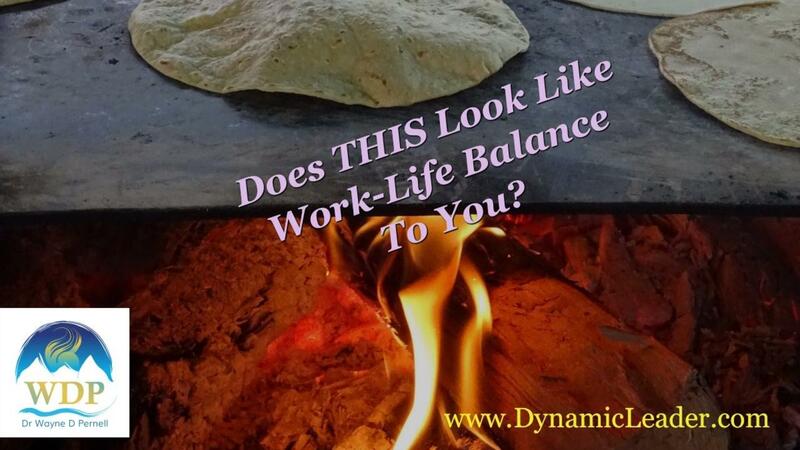 Work/Life balance became a buzz-phrase the same way that “synergy,” “resonate,” or “thinking out of the box” became phrases we’d mark off a card in our hidden B.S. Bingo games (and yes, I worked in a division of HR). Here’s what you need to know about work/life balance. What if you found something that you were compelled to do? What if it was even the best thing ever? What if, for example, you got to eat tacos ALL of the time! Whoa!!!! Tacos! All – Of – The – Time! That sounds good at first and then, well, not so much. If you do anything as The ONLY Thing, then you’re going to stop liking it so much. If you focus on work to the exclusion of all else, you’ll die at your desk. If you ate nothing but tacos, you might have a similar experience. The point is that you need to do something besides work. That’s not a revolutionary idea. Where the Work/Life Balance thing went wrong was that people assumed that “balance” meant 50-50. Balance is an active process. That means Work/Life Balance is not a static state you reach. It’s a process by which you choose to fill your gift of 24-hours. You need to focus on how to bring balance to ALL areas of your life. And that is going to be different for EACH person and it’s going to vary from one day to the next. While your core values may stay the same, what matters to you today may be different from what you valued a few months ago or even a few months in the future. Let’s take the winter holidays as an example. What you valued either at work or at home was different from what you hold as super important right now. For some, December was a time to get through. For others, it was a time to celebrate. For most, there was some stress. Really, how balanced did you feel? Now, as we enter this third month of the year, we look at our first-quarter projects. We look at spring break. We look at our finances following that winter-holiday thing. We look at our waistlines wondering how come winter is hanging on as it has. The balance thing is all about where you CHOOSE to put your focus. And sometimes we need to focus more in one area than in another. If you want to check in with yourself, look at what or who needs some attention in your life. How are you doing with your career trajectory? How is your health? How are your finances? Are you feeling as spiritually connected as you’d like? Are you reaching out to family? Are you there for your friends? And that hobby thing, some creative endeavor, are you putting time into that, too? To a greater or lesser extent, we focus on what’s important to us in the now. Sometimes that’s tacos. Sometimes that’s salad. Sometimes, it’s a taco salad. If you leaned into any of that to the exclusion of other things, you’d be out of balance. The scales of balance are always moving, even if ever so slightly. This Wednesdays With Wayne is meant to inform you and to nudge you to take inventory and perhaps CHOOSE to focus differently. If you want help with that and to take it to the next level, do check out the breakthrough retreat I’ve got going on next month. I’ll be closing applications soon, so if it interests you to come to San Diego (defrost and push yourself in a small-group setting), I’ve got ya! And, keep making your magic™!